Researchers of the Northeast Ethics Education Partnership (NEEP) at Brown University sought to improve an understanding of the ethical challenges of field researchers with place-based communities in environmental studies/sciences and environmental health by disseminating a questionnaire which requested information about their ethical approaches to these researched communities. NEEP faculty sought to gain actual field guidance to improve research ethics and cultural competence training for graduate students and faculty in environmental sciences/studies. Some aspects of the ethical challenges in field studies are not well-covered in the literature. More training and information resources are needed on the bioethical challenges in environmental field research relating to maximizing benefits/reducing risks to local inhabitants and ecosystems from research; appropriate and effective group consent and individual consent processes for many diverse communities in the United States and abroad; and justice considerations of ensuring fair benefits and protections against exploitation through community-based approaches, and cultural appropriateness and competence in researcher relationships. Funding was provided by National Science Foundation, Ethics Education in Science and Engineering (EESE) (Grant No. GEO-1338751). Guthman, J. (2008). Bringing good food to others: Investigating the subjects of alternative food practice. Cultural Geographies, 15, 431–47. doi: https://doi.org/10.1177/1474474008094315. http://cgj.sagepub.com/content/15/4/431. Accessed January 3, 2014.
International Society for Ethnobotany, Code of Ethics; at http://www.ethnobiology.net/. National Bioethics Advisory Commission (NBAC). (1999). 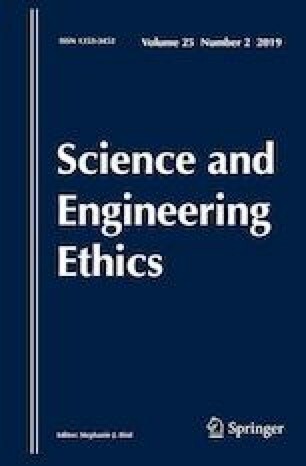 Research involving human biological materials: ethical issues and policy guidance. Report and Recommendations (vol. 1). Rockville, MD. http://bioethics.georgetown.edu/nbac/pubs.html,. National Bioethics Advisory Commission (NBAC). (2001). Ethical policy issues in international research: clinical trails in developing countries. Report and Recommendations of the National Bioethics Advisory Commission (vol. 1). Bethesda, MD: NBAC. http://bioethics.georgetown.edu/nbac/pubs.html,. Society for Applied Anthropology, A Worldwide Organization for the Applied Social Sciences—About SAA, Ethics. at https://www.sfaa.net/. Society for Conservation Biology. At http://conbio.org/about-scb/who-we-are/code-of-ethics.